Issan is the northeastern region of Thailand and is on the boarder of Laos and Cambodia. 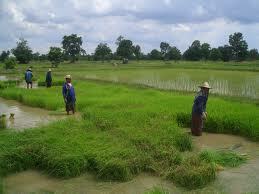 Issan is the rice farming region of Thailand and is the true un-spoilt Thailand. Just close your eyes and Imagine the quite chanting from the monks from the many temples, the soft tinkling of wind chimes, the lush green carpets of rice fields, the rice gentle swaying on the warm balmy breeze, There are 19 provinces in Issan and there are many things to see and do. Buriram is one of the most visited provinces of Issan and even has it's own football team, "Buriram Pea" which is currently No1 in thailand. There are many things to see and do in Buriam along with some really good resturants serving some fantastic european food, I can personally recommend "The Bamboo Bar" in Buriram city which serves a fantastic full English breakfast and pie and mash along with many other home comfort foods from europe. One place that is well worth a visit is up to Khao Kradong an extinct volcano that is 265 meters high where there is a pool in the moutn of the volcano. 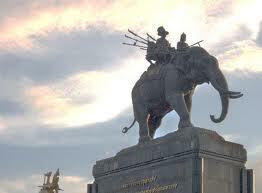 You can also visit Phra Suphattharabophit, which is an important Buddha image of the province of Buriram. Phanom Rung is an ancient Khmer Temple that sits on the edge of Khao Kradong and is 1,320 feet above sea level. You have to bee quite fit in order to see this magnificent temple as there are some 200 steps to climb, but the view from the top is absolutely incredible. Praset Muang Tam is another ancient Khmer Temple close to Phanom Rung and well worth a visit. The lower Northeastern Cultural Center is where you can find all about the local archaeology and history and see the ancient pottery and art that was found in and around Buriram. These are just a few ideas for a visit during your stay in Buriram. There is plenty more to see and do. 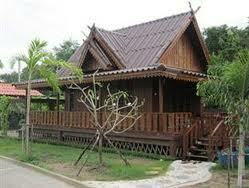 Price for private car up to Buriram is 3,900 Thb from Pattaya. 514/10-11 Harnchana Road, Tambong Nai Mueang Buriram. 90/79-80 Anuwat Rd, Nai Mueang Buriram. 14/13 Romburi Road, Nai Mueang, Buriram. Come and experience the true Thailand in Issan!